Submit below to receive your free 7-day trial membership to Whole Health Club. Thank you! Your submission has been received! We will be in touch as soon as possible. What is happening at Whole Health Club?!?! We are so excited to finally be open for personal training, group classes, and cooking lessons! It was a whirlwind but finally Whole Health Club can start spreading our knowledge. We have been featured in a few publications recently and are signed up for a number of events. First of all, we were featured in the Denver Post! We were very excited for them to reach out to us about our opening and what we do as a company. The Columbine Currier Came in to speak with us and take some pictures as well. The support of those two great publications are greatly appreciated. Our classroom is officially open for training! We are starting with 4 classes per day during the week and a few more on Saturdays. Paige is certainly excited about teaching yoga classes, but all the other trainers are excited for their classes as well. We have a new app called Whole Health Club! Our app is in the Apple and Android App Stores and all of your scheduling can be done quickly and easily from there. 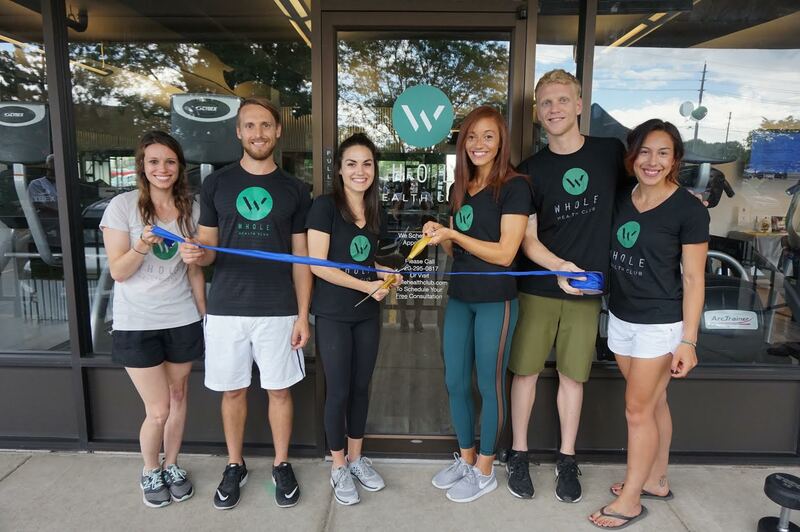 Upcoming events at Whole Health Club will include VegFest and Healthy Happy Hour! We have a booth set up for VegFest that will include giveaways, fun interactive virtual reality, and music! Healthy Happy hour is an event for the Chamber of Commerce that will show people healthy snacks that can be made quickly and easily as well as drinks that are made with all natural ingredients. We are so excited for our upcoming events and happy to see all the love and support from people. We are just getting started and hope to show the City of Littleton, and all of South Denver, that we are here to help our city get healthier. Call (720) 295-0817 or click below to set up an appointment.